As I officially begin to work on The Cooking Gene, I have begun to travel the South again in search of bits and pieces from the world of my Ancestors. I am ever amazed and grateful for the journey and the people I meet. 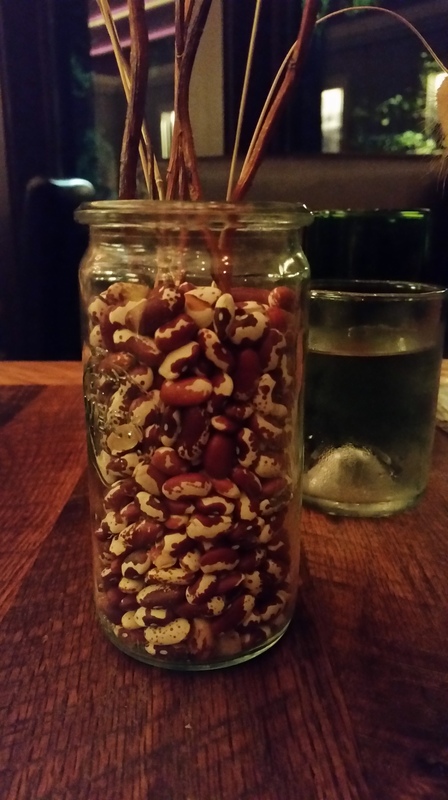 Pastry chef and foodie Stella Parks of Lexington reminded me the other day that this project, nay–book, is not just about food and family history; its about the family we create, find, and discover through food and the magic of place and connection. 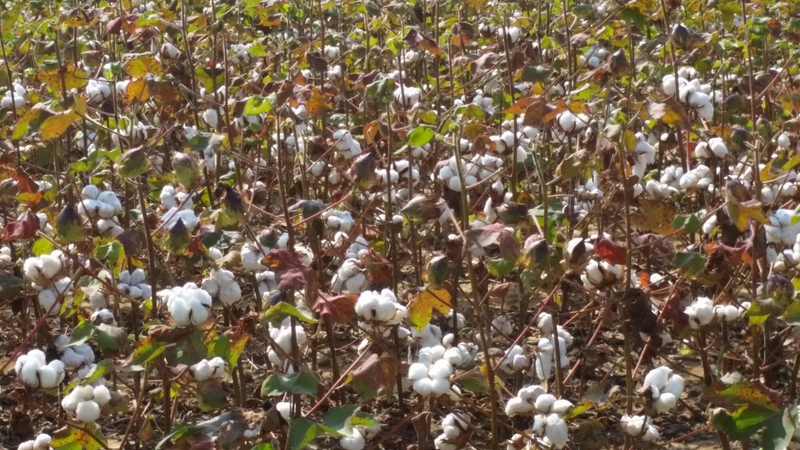 I’ve spent the past few days in Kentucky and Tennessee, the old Southern backcountry that became the heart of the mid-South, re-learning and discovering; searching for the parts of a larger story of Southern food in the hands of the African American growers, producers, bakers and cooks of the past and the legacy they left for all of us. 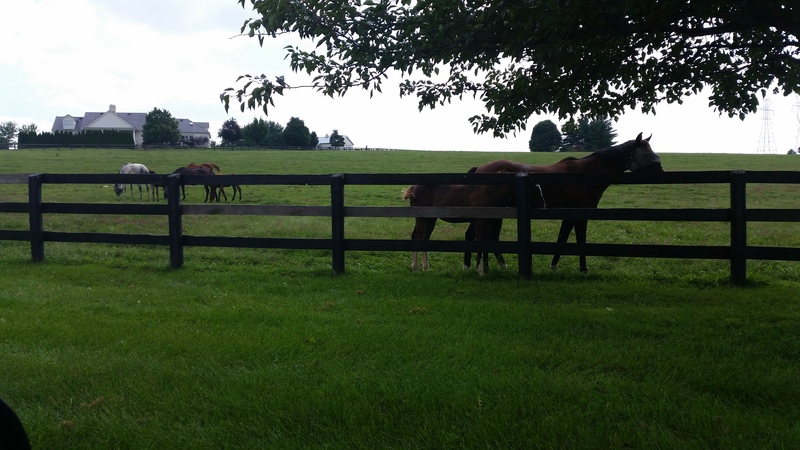 Stella Parks giving me a tour of the burley tobacco and horse farms of bluegrass country. Note the stakes on the ground. 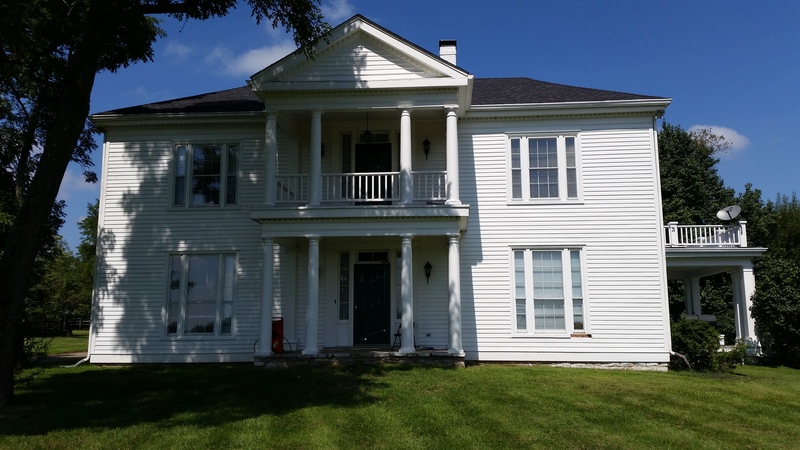 Modernized historic home, the former "big house" of a small Kentucky plantation established before Washington was president, when Kentucky was the Virginia frontier. 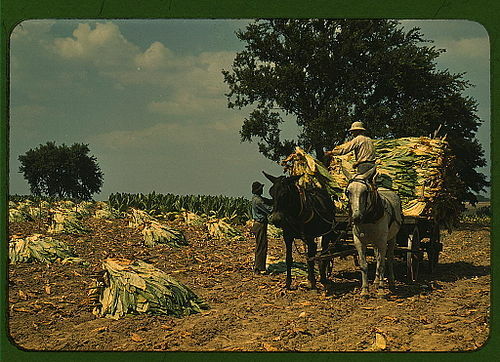 Tobacco, corn, rye, and hemp were major crops in Kentucky during slavery time. 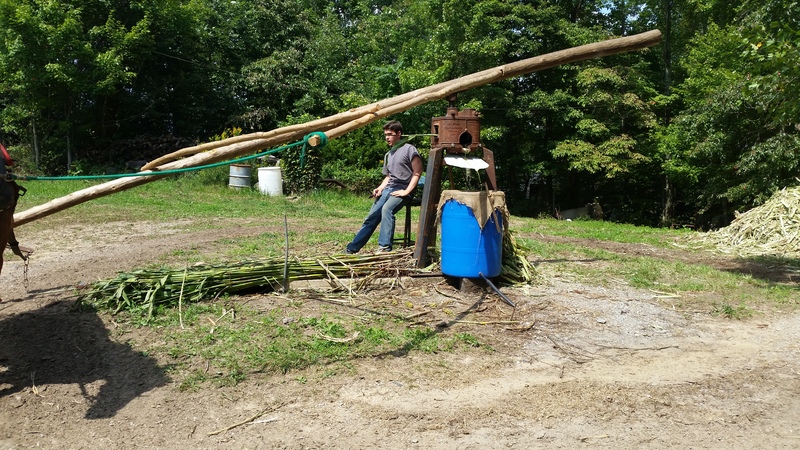 Much of the rye and corn were transformed into whiskey. 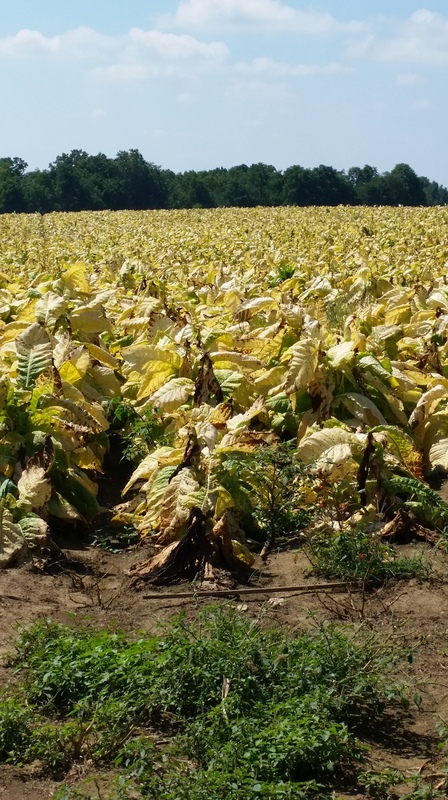 70% of the nation’s burley tobacco crop is grown in Kentucky, with smaller amounts being grown in Tennessee, North Carolina and Virginia. 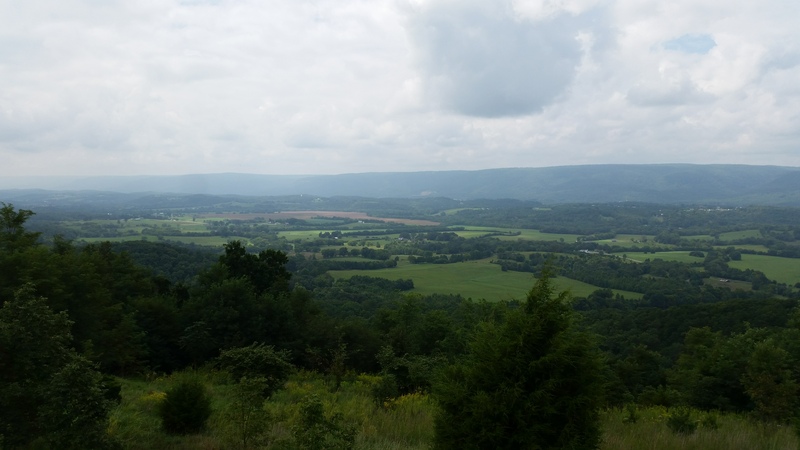 As I traveled from Virginia into Tennessee and Kentucky, the late summer fields of brilliant, blinding golden leaves curing in the sun set themselves apart from the emerald bucolic face of the hills and the pale blue skies above. 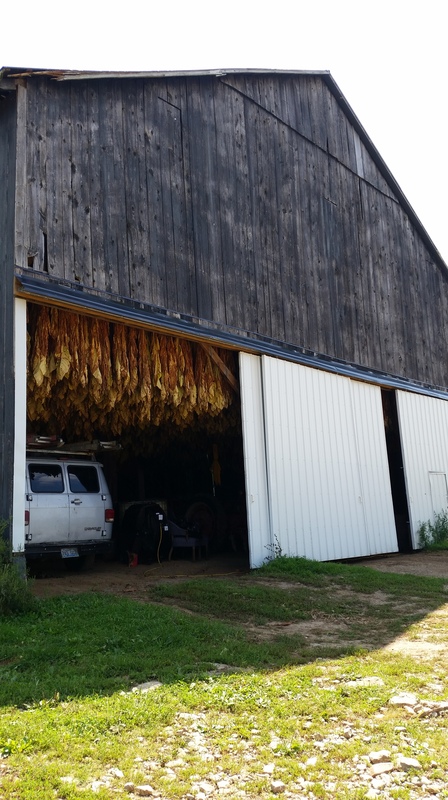 The black roofed barns slowly swallowing the harvest swelled with stakes of cut plants, emitting an acridly sweet mustiness each time the breeze gave life to the leaves and pushed it’s way through the open slats used to impregnate the crop with dew. The leaves go from crumbly to a leathery pliable texture. 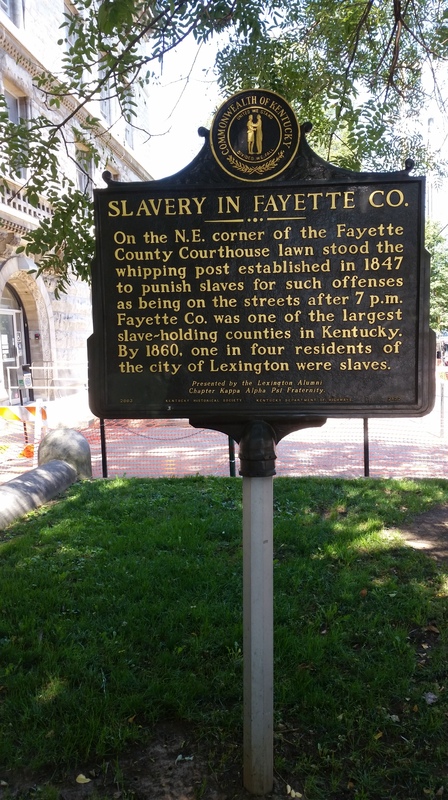 The countryside between Louisville and Lexington was one of the heartlands of Kentucky slavery. 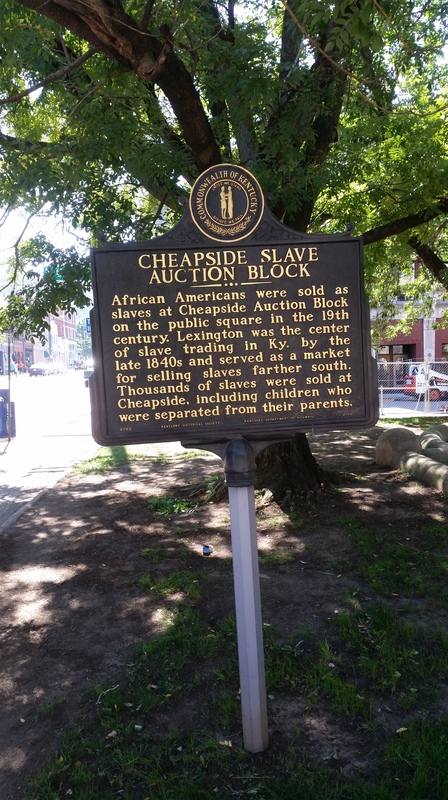 At the auction spot near the Fayette County courthouse, numerous enslaved cooks were sold including two “likely” women in 1864, both noted as talented cooks. Today, where enslaved people once waited to be sold “down the river,” the Farmer’s Market now stands. The upper Southern midlands preserved much of the heritage brought from the Chesapeake and Maryland, Carolina and Virginia piedmont. 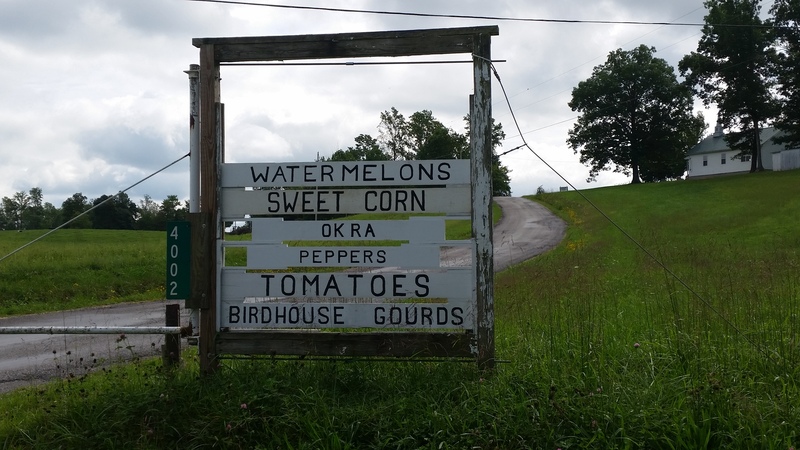 Enslaved people’s dietary and cultural preferences shined through as watermelons, corn, muskmelons, hot peppers, okra and tomatoes joined gourds in the gardens of new plantations and farms west of the mountains. 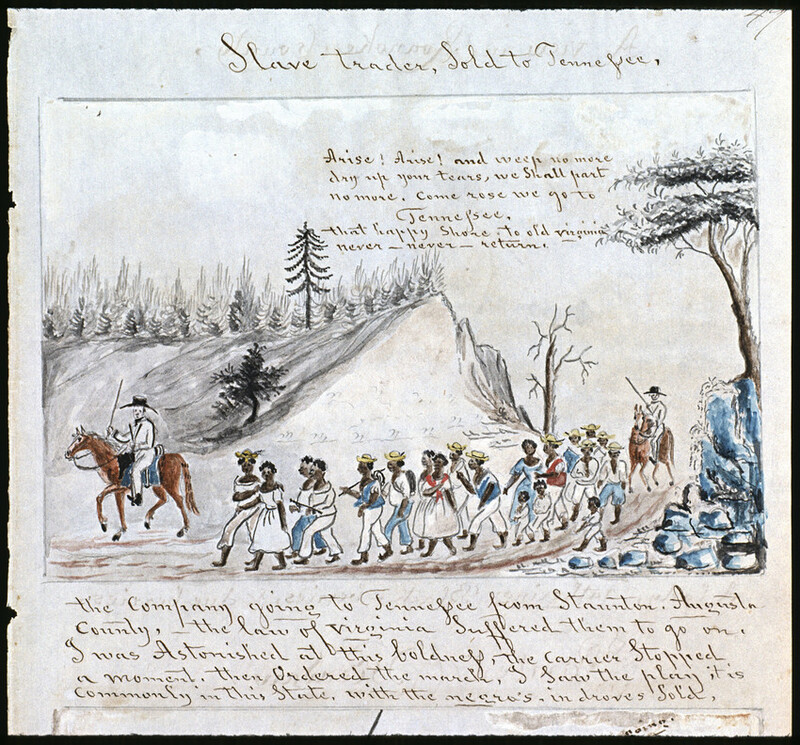 19th century artist, Lewis Miller's rendering of enslaved people being marched from Staunton to Tennessee. Riding down modern highways it dawned on me that my journey was infinitely easier than these Ancestors marched into the unknown. Barefoot, subject to the elements, leaving behind the world their African forebears had arrived to from 1619-1778, the enslaved of Kentucky and Tennessee had to build new lives in coal mines, corn fields, tobacco barns, and in central and western Tennessee, acres of upland cotton pushed down the Mississippi from Memphis. The classic dishes of Maryland and Virginia morphed as they were forced to make do with new landlocked environments. 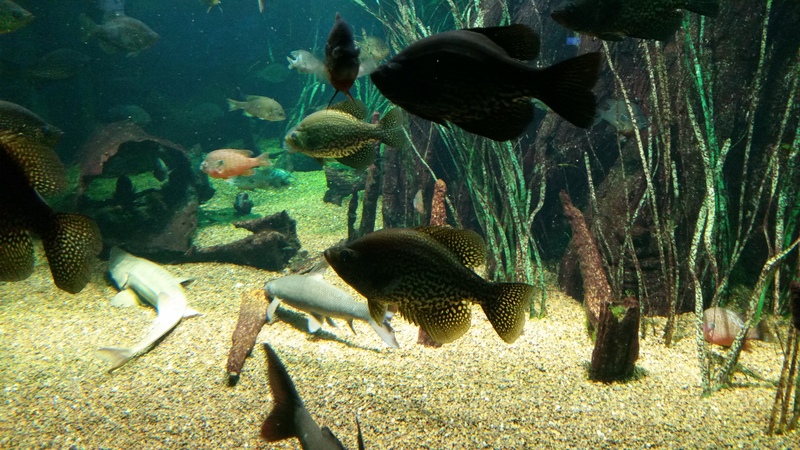 The varied fish of the rivers, creeks, mill ponds and oxbow lakes gave enslaved people new sources of protein. 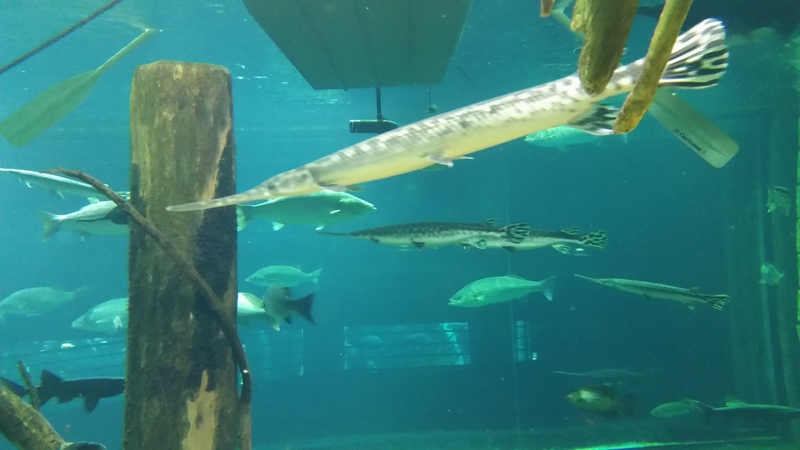 I visited the Tennessee Aquarium in Chattanooga to learn about the ecosystems and habits of bream, blue catfish, eels, buffalo, chubs, shiners, suckers, bass, trout and other native fish the Ancestors added to their cooking pots. 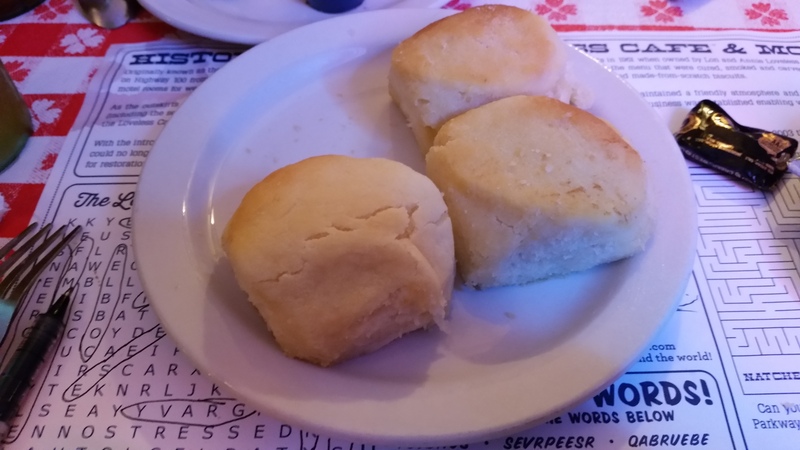 Loveless Café biscuits…heaven on earth…..they need sorghum. 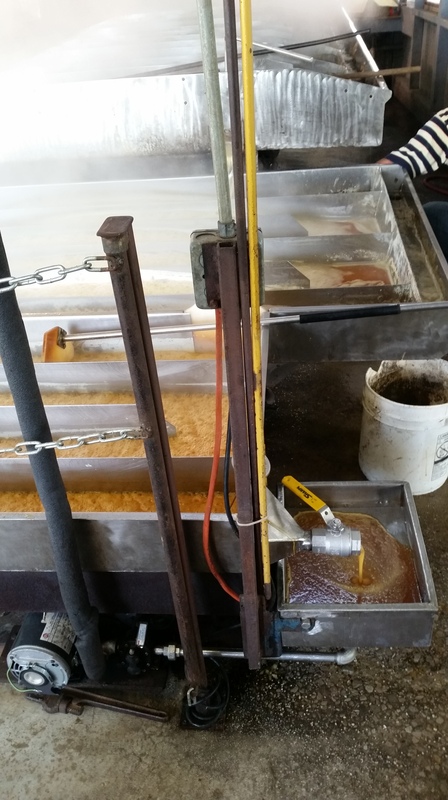 The juice is strained and collected until it goes into a steam heated series of vats where voila, 30 minutes later it thickens into sorghum syrup. 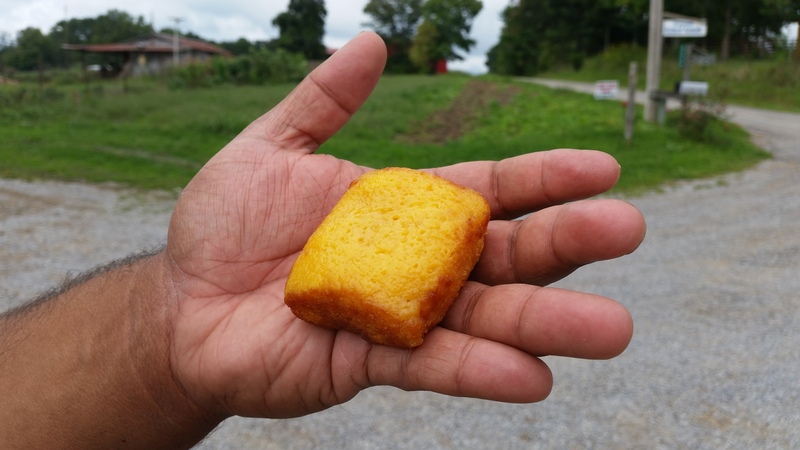 The Mennonites make sorghum in central Tennessee, among the goodies they make with this plant with soul is a magnificent sorghum – butter pouncake. 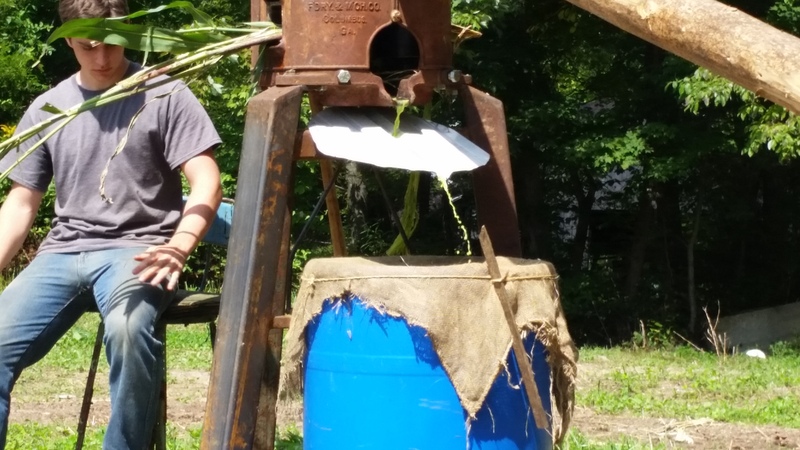 The Guenther family was extremely hospitable to me as I documented sorghum making the way my Grandparents remembered. It was really special to get multiple “Gd bless you on your journey.”‘s as I took leave of the Muddy Pond Sorghum Mill. I felt as though I had found a new and unlikely family in a part of the world I never dreamed I would see. 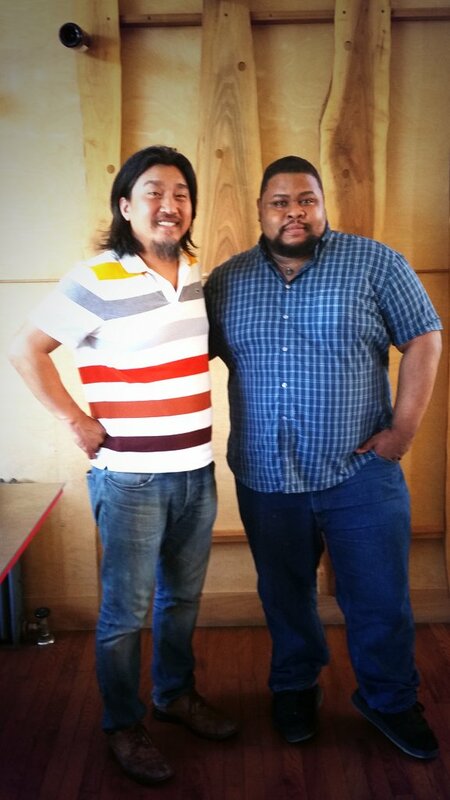 I had the occasion to meet a celebrity chef I admire, Chef Ed Lee of 610 Magnolia in Louisville. Next year I may be going to Louisville to do a dinner featuring historic foods from Afro-Kentuckians, so as we make plans, stay tuned. 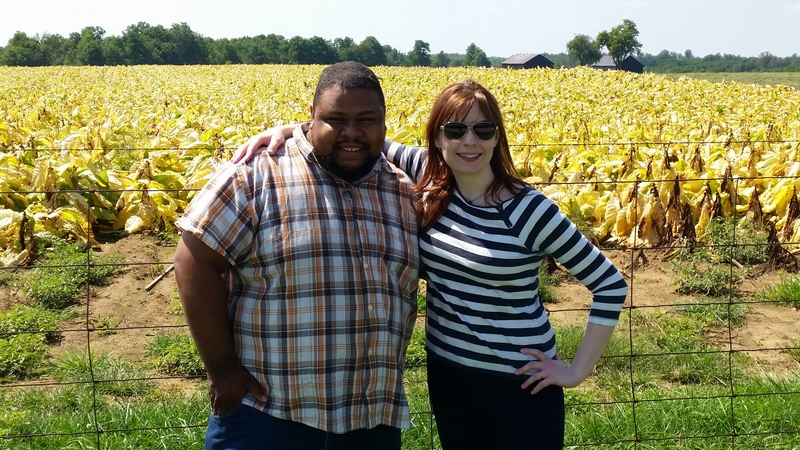 His amazing book, Smoke and Pickles speaks to the Newer New South, where chefs of all backgrounds make traditional dishes sing with urgent life based on their ethnic origins, personal journeys and conversation with traditional ingredients. 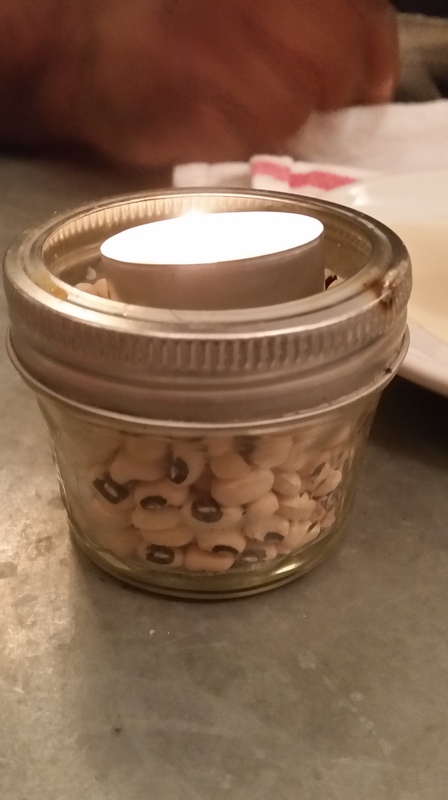 Field peas make great table decor. 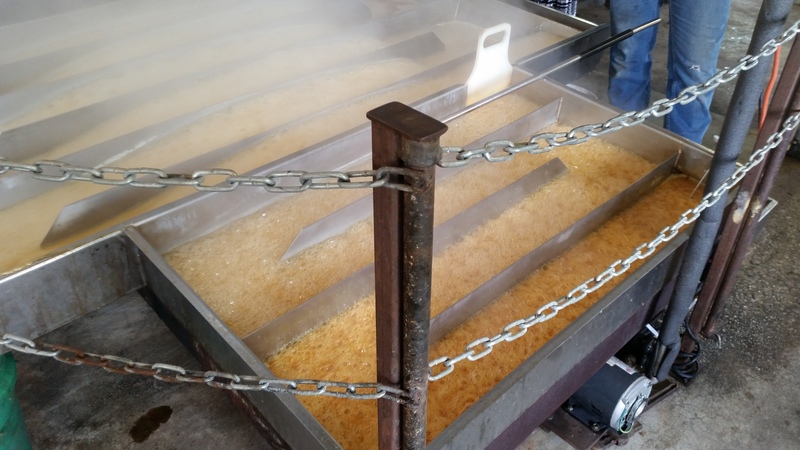 I’m learning a lot about this often overlooked part of Southern food culture. I am in the land of country ham, red eye gravy made with coffee, biscuits, fried chicken, hot browns, hot chicken, rib barbecue, scrapple and panehas, catfish, burgoo, and mutton cue. As I explore and research, I hope the book will reflect the honor I feel visiting the Lorraine Motel, where Dr. King shed his blood for the freedom of his people; and the reverence visiting the boyhood home of Alex Haley, where the thirst for roots began. I had several ancestors enslaved here in Tennessee, and every step brings me closer to them and the world they knew. I am in the Southern heartland and now it’s beauty, pain and yearning is in my heart. I am off to the Association of Food Journalists conference in Memphis, do please follow my notes on Twitter. Until next post, MWT. The work that you are doing is awesome Michael. Looking forward to the book. Wonderful! Thank you so much for sharing that. Have you ever explored the food and scenes of the Gullah Geechie people of the Low Country of SC? Charleston was the entry point of so many African Americans in this country and we have a rich culture that reflects our history. 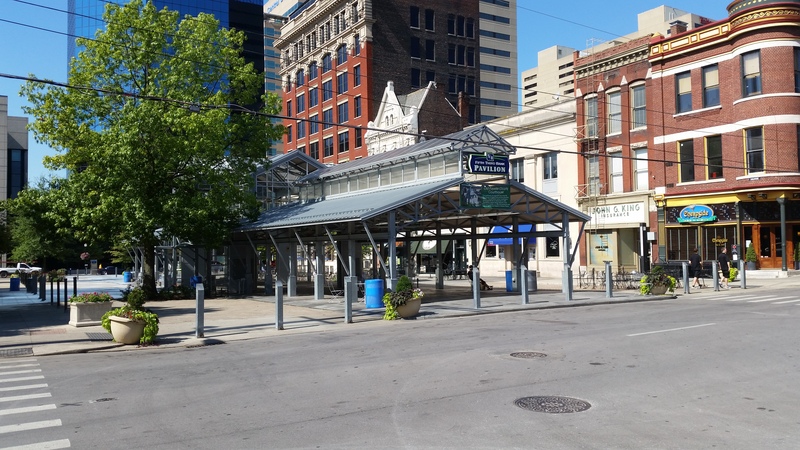 If you ever come to our city, my spouse and I would be glad to be your personal tour guides. Have a great day. Amazing!!! This is such a wonderful journey you’re on and I wish you the best in all your endeavors. I so enjoy reading about everthing you’ve encountered and especially love all the photos. Simply beautiful writing and photography. Thank you.